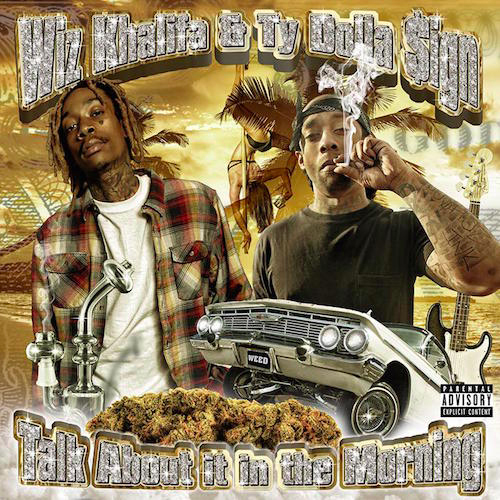 Wiz Khalifa & Ty Dolla $ign – Talk About It In The Morning (EP) ! Two of the Taylor Gang’s most visible faces, Wiz Khalifa and Ty Dolla $ign, have finally decided to pool their respective talents and release a collaborative EP. Keeping things strictly between themselves, the five-track EP can be streamed below. Previous Post@Shaqbundlezbgb Feat: FETTI OPP [BgBMix] (CT)Next PostSNOOP DOGG’S GLADIATOR SCHOOL (BATTLE) FULL EVENT!